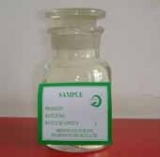 N-Propyl Bromide Suppliers, N-Propyl Bromide Manufacturers. Uses : Used forOrganic synthesis, the material of producting cleaning solvents and agricultural chemicals, e.g. Profenofos, the intermediates of dyestuff and perfume. Used forOrganic synthesis, the material of producting cleaning solvents and agricultural chemicals, e.g. Profenofos, the intermediates of dyestuff and perfume.